Carmen Araujo Use this promo code and Save 10% Off Baby Blankets at ProjectNursery.com, just copy and paste the code at checkout to claim your discount. margelys betania peña villasmil I am re-activating this expired deal, just copy and paste the code at checkout to earn your discount right now. Try it. Maikel Haier Salon I am validating that this deal works as described. 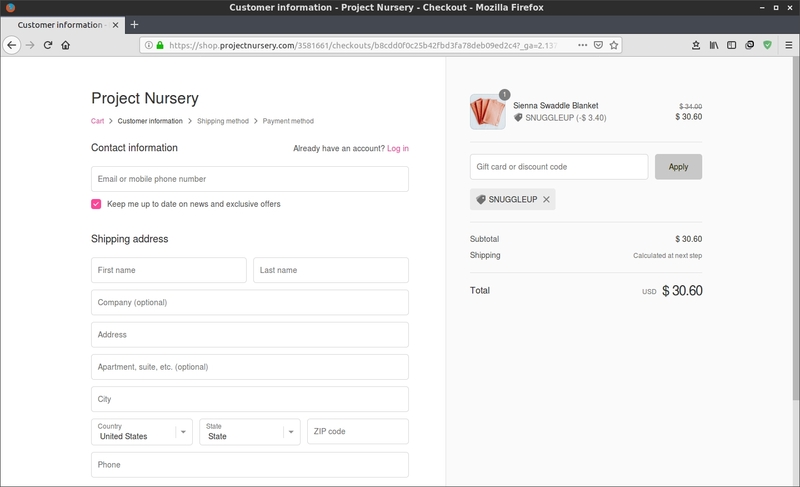 At the time of the purchase, use the coupon and get the great discount of 10% Off Baby Blankets at ProjectNursery.com. 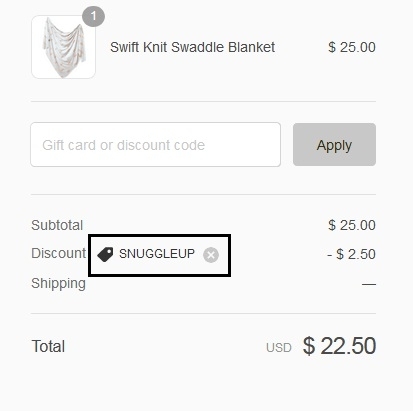 Luis Pineda This code is totally valid and can be applied to our purchases without any problem. Enter the code and enjoy the benefit automatically.